The Trump administration has had a rough week, with a federal judge blocking the new travel ban, the GOP bickering over its health bill, and the House Intelligence Committee shooting down President Trump’s wiretapping claim. The White House needs to change the subject, and their bold new budget plan is sure to do that — though Republican lawmakers are already saying it will never pass. Trump previously revealed that he would seek a $54 billion increase in defense spending, to be offset by major cuts to the State Department and the Environmental Protection Agency. 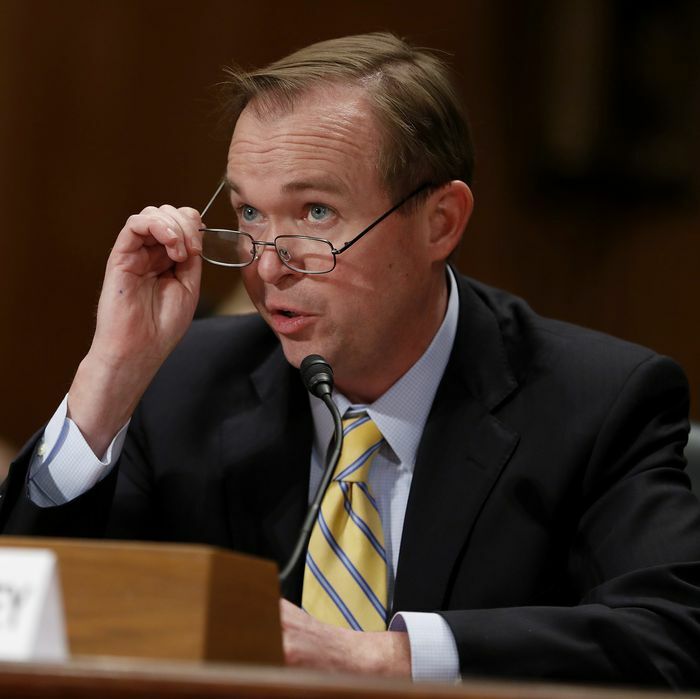 Indeed, the Washington Post reports that the budget blueprint being unveiled on Thursday strips money from more than 18 agencies. The EPA is hit the hardest, with a funding cut of more than 30 percent; the Agriculture, Labor, and State departments would see reductions of more than 20 percent. Many smaller programs would be eliminated entirely, including the Corporation for Public Broadcasting, National Endowment for the Humanities, National Endowment for the Arts, and Legal Services Corporation. Aside from the Department of Defense, the agencies that benefit are Veterans Affairs and Homeland Security. The latter would see a $2.8 billion increase in funding, with much of it going toward the border wall with Mexico. The White House clearly wants to make a statement with the shockingly drastic budget — specifically, that the administration is powerful. But the proposal is short on details, and several lawmakers have dismissed it as unrealistic and contradictory. Republican senator Lindsey Graham has called the cuts to the State Department “dead on arrival,” and Democratic senator Patrick Leahy said the White House is only proposing the massive spending cuts because they know they won’t make it through Congress. “They know they’d be a disaster for their own party if they did. It makes for a great talking point. It actually fits on a tweet,” he said.